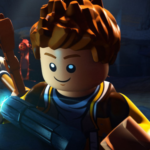 Lego Star Wars The Freemaker Adventures is coming to a television near you, and we got the opportunity to hear from the actors personally about their roles in it! As the world of Lego & Disney are constantly expanding we are also excited to have Star Wars included in that mix! Just last week at E3, we previewed the anticipated Star Wars: The Force Awakens LEGO Star Wars game coming to gaming consoles June 28, 2016! While we are looking forward to seeing BB-8 roll around in Lego form we have another LEGO Star Wars feature to enjoy premiering today on Disney XD! 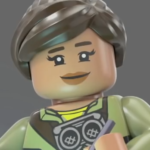 Lego Star Wars: The Freemaker Adventures is a brand new series featuring the Freemaker family and their connection with Force. The Freemaker story is set between the events of Star Wars The Empire Strikes Back and Return of the Jedi. While familiar characters will be featured the audience can expect to meet all-new heroes and villains all in LEGO form! The Freemakers are a family of space scavengers who collect parts and sell ships in their shop. 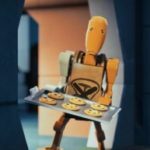 The Freemakers are built of Zander, Kordi, Rowan and their butler droid Roger. The show won’t mention what has happened to the Freemakers parents but it will focus on how they work hard to keep their parents shop and pay the rent. While out looking for parts Rowan finds himself drawn to the an ancient artifact the Kyber Saber. The Kyber Saber has been hidden for many years and with Rowans discovery of the Kyber Saber he also finds out he has a connection to the Force. Rowan’s connection to the Force is crucial as Darth Vader and the Emperor set out to rule the galaxy. With the help and guidance from his siblings, Rowan will use the Kaber Saber to restore peace and balance in the galaxy. Rowan is the key to restoring saving the galaxy from the Empire. It was a great privilege to hear and see Nicolas Cantu speak in person about his character Rowan. Nicolas on screen siblings Vanessa Lengies & Eugene Byrd speak highly of him and impresses the rest of the crew by his talent and work ethic. 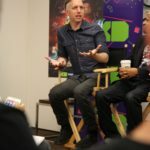 During the press conference both of the producers Bill Motz & Bob Roth reflect on a powerful monologue performed by Nicolas and look forward to the audience enjoying Nicolas performance of that scene later in the season. Kordi looks out for her family and is hesitant about encouraging Rowan’s ability with the Force. 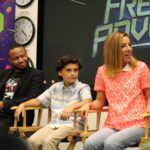 While Kordi Freemaker has to be a strict and reasonable leader for her two brothers, Vanessa Lengies herself shares the sweet side of working with Nicolas Cantu and Eugene Byrd. Vanessa’s character Kordi has to be tough, but in person Vanessa shared her excitement and joy to be able to work with an amazing team and how natural it was to perform as a family. The audience can anticipate Vanessa’s performance of Kordi to be of leadership and an anchor keeping her younger and older brother grounded. Zander is the oldest but he does have a habit of getting his siblings into trouble. 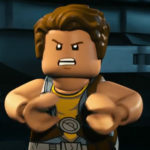 In the first episode of The Freemaker Adventure the audience can hear the excitement in Zander’s voice which is perfect for the LEGO Star Wars Universe. 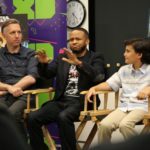 In fact Eugene Bryd shared with us that when he found out he was playing a LEGO Star Wars character he literally was jumping up and down in excitement! 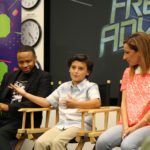 There is a pure joy that comes from Eugene as he speaks about how great it was to work with the team in the Freemaker Adventure. The audience can can relate to the passion and excitement in Eugene’s voice as Zander shares his excitement and knowledge with his family throughout the show. Roger has had experience dealing with Jedi so his knowledge is handy as Rowan learns the Force. Matthew Wood himself is a Veteran in the Star Wars Universe and has worked most recently in the Star Wars: The Force Awakens! Matthew shares it was a great playing the Roger Battle droid in a comedic light in a world full of darkness in the galaxy. The audience can expect to laugh as Roger keeps up with the Freemakers through their adventures through the galaxy! Being able to witness the actors talking about their characters was a great experience and their chemistry on the show matches the chemistry in person! All of the actors have a great excitement in anticipation for everyone to enjoy the Freemakers Adventure and that excitement carries on into the show as well! 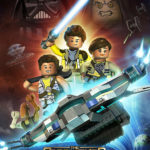 Make sure to check out LEGO Star Wars: The Freemaker Adventure today on DisneyXD! The next three episodes are to follow everyday afterwards, and next week will set their regular programming to play on Mondays! Also be sure to come back tomorrow on DisneyExaminer where I will be sharing my thoughts on the first episodes and more behind the scenes info on the Freemakers!